It turned out to be harder than she thought. Beth is not an athlete, not into extreme adventures, and, she insists, not a risk-taker. She didn't speak a word of French when she set out, and her Spanish was atrocious. But she can tell a story. 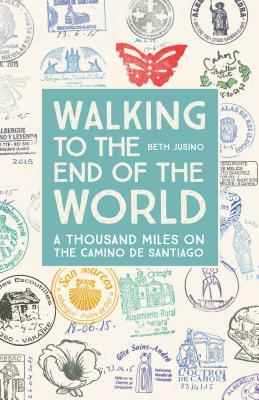 In Walking to the End of the World, she shares, with wry humor and infectious enthusiasm, the joys and travails of undertaking such a journey. She evocatively describes the terrain and the route's history, her fellow pilgrims, and the villages passed, and the unexpected challenges and charms of the experience. Beth's story is also about the assurance that an outdoor-based, boundary-stretching adventure is accessible to even the most unlikely of us. In her story, readers will feel that they, too, can get off their comfortable couches and do something unexpected and even spectacular.